Dedication is always listed as one of the most important traits an entrepreneur needs in order to see their business ideas come to life and to become successful. And, alongside tenacity, passion and managing failure – to name a few-, dedication is one trait successful business people tend to have in common. As a sought-after business coach, mentor and award-winning entrepreneur, Sheryl Miller is the perfect person to ask exactly what’s needed to cut it in the dog-eat-dog startup world. 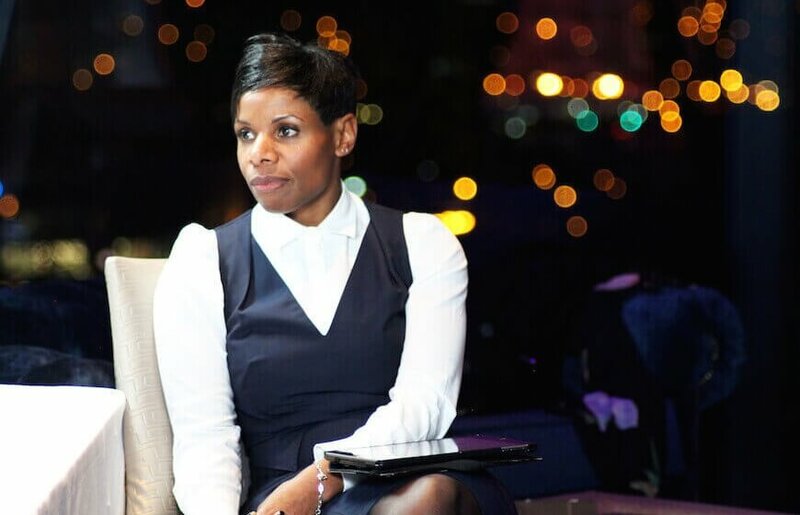 Sheryl entered the startup space after leaving the corporate sector where she’d held senior management positions in Finance and Strategy. In 2017 her startup, Soup to Nuts won the Birmingham Award for Best Social Media and Marketing Campaign. 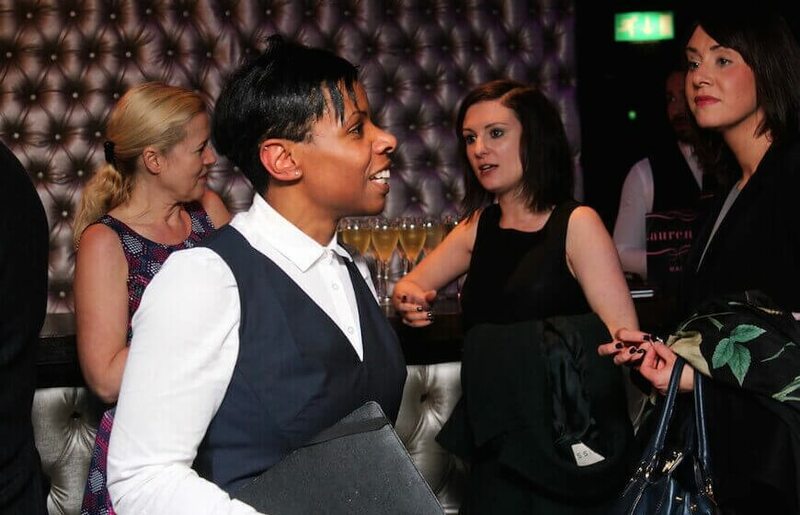 As a business coach Sheryl has helped shape some fantastic ideas from the minds of young creatives across the West Midlands. Sheryl, how did you become a business coach? I always had a hunger for improving things so that organizations and people could reach their full potential. This got me into career mentoring and business coaching. I helped ‘wantrepreneurs’ with their business ideas and plans and identifying and harnessing market opportunities based on their strengths and passions. What’s ‘Soup to Nuts’ ? When we call Soup to Nuts a one-stop-shop, we’re not kidding. We are aware that there are other platforms like Fiverr and Freelancer where someone can find XYZ expertise. We sometimes use these as well to supplement projects, depending on the need. The first thing that’s different about Soup to Nuts is we’re very output and ROI driven and less about ongoing steady-state maintenance. Focusing on a specific campaign, event or project – like a film festival we set up and managed for a client in 8 weeks flat. So we’re very results focused and like to jump on and off as required rather than have the client pay for a mediocre ongoing service. Secondly, everyone we assign to a project is vetted, highly recommended and managed directly by us – to ensure the delivery is on point. This takes a lot of the risk out of using a ‘faceless’ tech platform. 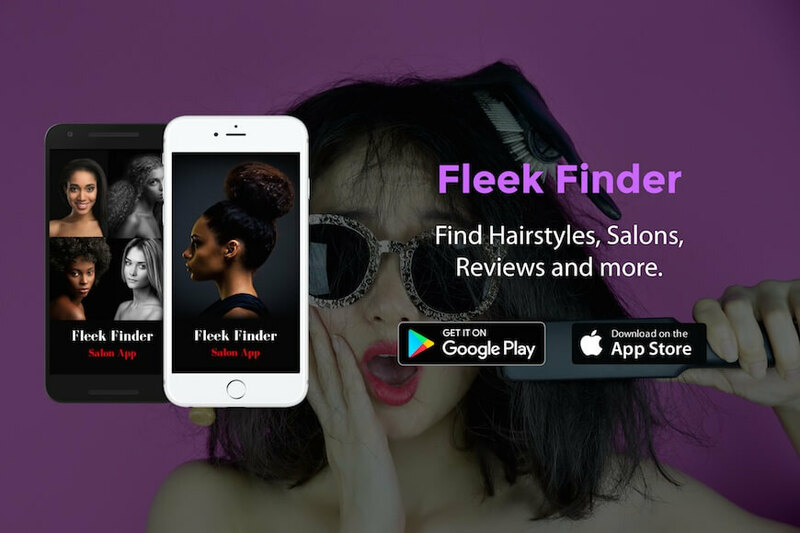 What inspired your to create the hair salon app, ‘Fleek Finder’? In the early days of Soup to Nuts, one of my first pilot clients was my hairdresser. We took on their social media and quickly noticed that we got a lot of inquiries asking if they did different styles – particularly looking after natural afro hair, which was a growing trend. At the same time my daughter, who was at university, was searching around for someone that could give her a new style and wacky colors. I figured there was a need. Fleek Finder inspires people to try something different. Too many adults get into a style rut that they’re actually not that happy with (68% according to research by HairRx), and they don’t know where to go for help. Fleek Finder has a catalogue of styles. And then the challenge is finding the right hairdresser. Get this wrong and it can lead to a disaster which may take months, even years, to grow out. Truth is, it’s difficult to find new hairdressers unless you know someone with exactly the same tastes and a similar look. Even then, who wants to copy someone else’s do? The people who will benefit most are those that have moved to a new area e.g. students, graduates and young professionals, and don’t want to leave it all up to a Google gamble. Or someone who has been through a life change, like having a new baby, who wants a completely new look; After I had my daughter, I went from having long shoulder length hair to a pixie cut, which prompted me to change my hairdresser. At the moment, we mainly have hair salons but we’re hoping to add specialist barbers and male grooming parlors, which is obviously an exciting growth area. What success have you seen so far? Response from our beta testers has been good – easy to use and they can see the benefits. I’ve also had great feedback from hair salon professionals who can quickly see the benefits in a competitive market where they sometimes struggle to market themselves to potential new clients. I had a few technical challenges with this hair salon app build at the start – I so wish I could code myself(!) but at the moment I’m at the mercy of the techies. Maybe I’ll get to it someday. I want Fleek Finder to be the TripAdvisor of the hair world. So, it’s a business model that will capitalize on our inherent love of sharing of Instagram-worthy pictures, incentivizes reviews (who doesn’t like giving helpful opinions?) and premium listings and features for salons, such as ‘how to’ videos. Recently I heard someone say it’s not motivation that gets results, it’s dedication. I guess that’s another way of saying that after the initial motivation to start something from a business idea, you have to stick at it. I am a typical ideas person and I can get distracted, so I have to work hard to focus, know when to park ideas and when to stick at something that will be a success. I have a great virtual team at Soup to Nuts though, who keep me going and keep me grounded. In the past, I’ve also used business coaches to hold me to account. Why do you think dedication matters in entrepreneurship? Any tips on how to focus and be dedicated? My head is full of business ideas, constantly. My business coach used to tell me to write them all down in a book so as not to lose them, but park them and only work on one at a time. She would then grill me on the 2 or 3 actions I said I was going to do since the last meeting to see if I’d done them. So my advice is try to focus on one thing at a time until it is up and running and can function without you. I’d like to think that with Stilettos Network, I had a dogged determination to make it work e.g. not cancelling events even if we had a low turnout – and even though I sometimes wanted to quit it, we created a powerful brand that serves a purpose and has even grown since I’ve stepped back – the hard part was transitioning from trying to do everything yourself to figuring out how to get it to function without you. In your opinion, what’s the difference between motivation and dedication? Motivation is the spark to start something. I liken it to the early honeymoon phase of a relationship, when you desperately want to be with that new person. The dedication is the years of staying together when the going gets tough. And as someone who’s been married for nearly 26 years, I think I know what that looks like. There are so many! But lately I’ve read Richard Branson’s Losing and Finding My Virginity books. So many lessons, you can’t help be inspired. I particularly like his story because he also is an ideas person who has often been criticized for a lack of focus. But he knows how to make it work. What do you feel is the main area entrepreneurs need support with these days? 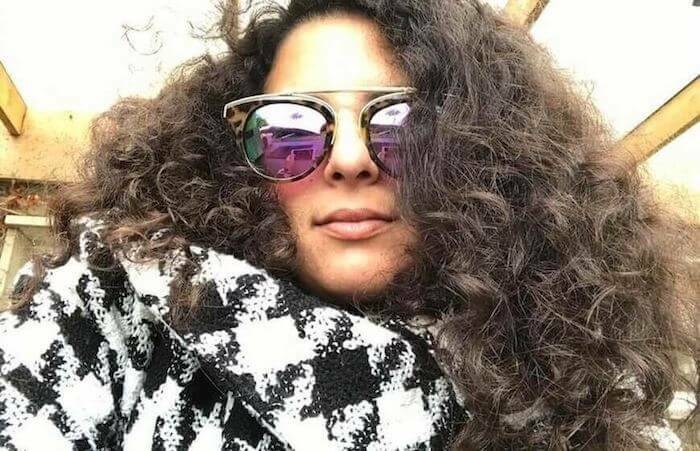 Social media and digital marketing continues to be the one area we get asked for help with the most – partly because my co-founder, Indigo, is a something of a ninja in that space. I think many entrepreneurs see it as daunting and can’t see how they can harness it without spending all of their time posting to Facebook, rather than running the business. And then, from a back office perspective they always worry about staying on top of their finances and hiring the right people, but this comes after they’ve cracked the marketing. Any lifestyle tips for someone launching a startup? What’s next for you Sheryl? As a big fan of apps, I’m sure there’ll be more of those, but I do have a burning desire to start a venture that helps level the playing field for those who struggle to become financially independent e.g. they can’t get a bank account or are disadvantaged because they can’t get online to get the best deals to run their household or access the support that is out there. I know that’s a complex area but I’m trying to figure out how we can apply our Soup To Nuts thinking to it. Soup to Nuts always delivers, whatever the task.